Set in a tranquil cul-de-sac this quality 3 bedroom, 2 living area brick and tile home features a corner position with two separate driveways perfect for caravan, boat or guest parking. The double garage has internal access. Updated and ready to move in, this home has many extras to suit downsizers and young families alike with nothing to spend. The open dining and living area has plenty of natural light from the front garden and sliding door access to the private back courtyard. The bright kitchen with quality cabinetry, electric cooktop, range, ceiling fan and dishwasher overlooks the back garden and is open to the dining and living area. Eco-friendly, naturally hypoallergenic and insulating cork flooring is throughout the living and 3 bedrooms. The living room has a split system remote air conditioner, gas bayonet and ceiling fans, with screened windows and doors. From the main living area there is a second rumpus or possible 4th large bedroom for the home. Perfect for hobby room, guests or teen retreat with air conditioner and carpeting. The main bathroom has a full size bath, vanity and shower plus a separate toilet for privacy. 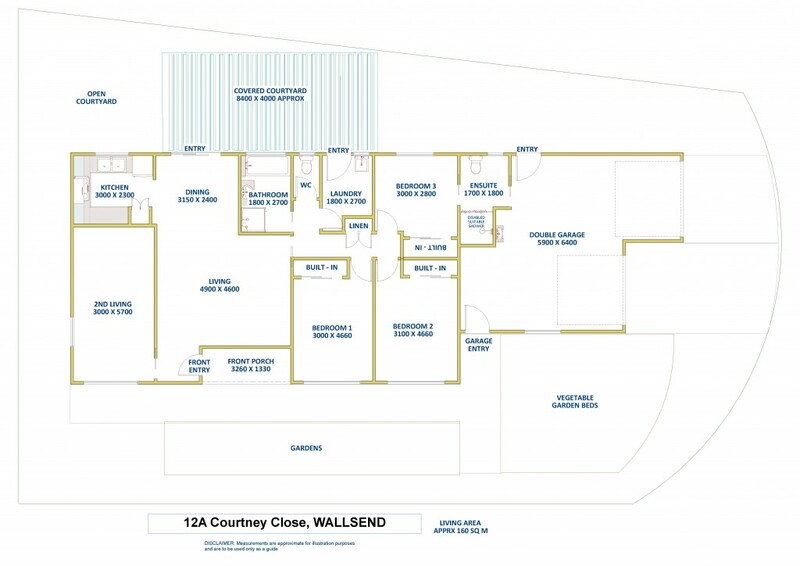 The large laundry features plenty of storage and walk out to courtyard and sunny garden. The garage features two single auto doors, work bench, storage space and 3 access doors, one to level entry front entrance, another to back courtyard and the other into the home. The gardens surrounding the front offer a private oasis and raised vegetable garden beds. The back yard offers protection from the elements with a covered BBQ entertaining area with garden shed and walk through to an open sunny garden patio with retractable clothes line. There are two water tanks and solar panels on the roof providing savings for hot water and electricity. This wonderful pocket of Wallsend is only a short walk to the Newcastle cycleways bike and walking path and green space and only minutes drive to shopping.